History: Arunga VI was originally designed for a syndicate in Sydney, Australia to compete in the 1982 Australian-American Challenge. Her debut came at the abandoned 1981 World Cup in Switzerland. 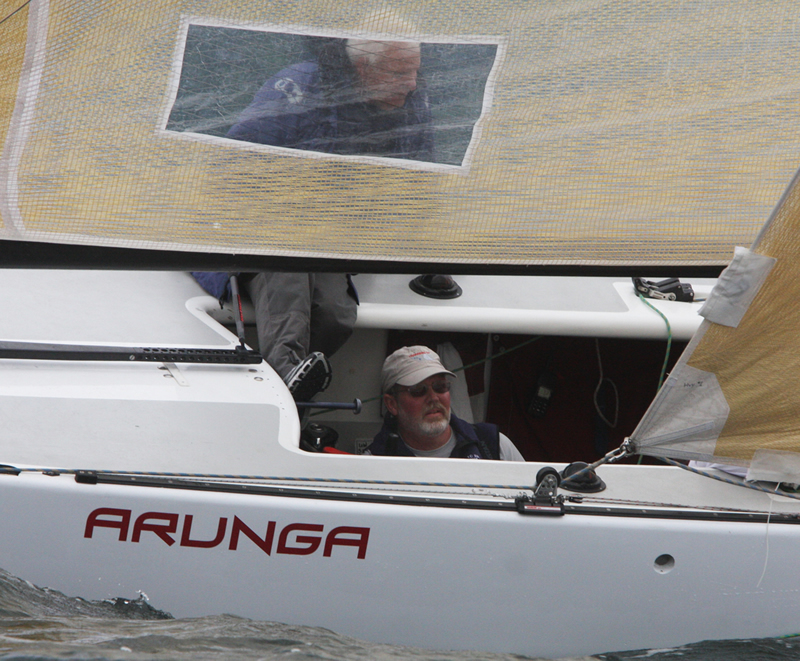 After taking part in the non-eventful races at Romanshorn, 'Arunga' was shipped to Australia. In January of 1982 she lost in the finals of the American-Australian Challenge Cup to USA 112 St. Francis VII and was then stored at the Royal Prince Alfred Yacht Club at Pittwater. In August of that year the boat was shipped to Newport Beach, California under charter as a trial horse for the Newport Harbor Yacht Club. In March of '83 she was chartered to St. Francis Yacht Club, re-named 'St. Francis VIII,' and updated by Warwick Tompkins. Modifications included a beefed-up mast step and headsail winches set into deck wells. Under skipper Paul Cayard as 'US 118,' she won the 1983 US Nationals, scored second in the Cal Cup, and third in the 1983 World Championships. After being trucked to San Francisco, Tom Blackaller used the boat to successfully defend the American-Australian Challenge Cup for St. Francis YC in four straight races. After this she was stored in Sausalito, California until being sold to Paul Longridge and trucked to Victoria, BC. After a refit she was then shipped to France for the 1985 World Championships at Cannes, finishing twelfth of 39 entries, with Arunga's Pelle Pettersen sister ships 'Junior' and 'Filippa' coming in first and third. There was one more win at the 1985 Seattle Cup, after which the boat went into dry storage in Victoria until 1998. 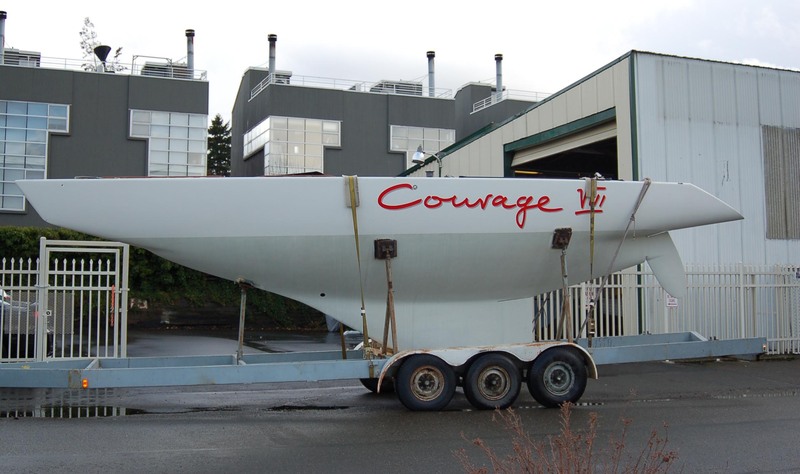 Dietrich Gruenau, 2005 World Cup champion and owner of two other sixes, GER 49 Courage VI and GER 118 Courage IX, purchased the boat and sailed her on Lake Okanagan, British Columbia as 'Courage VII' from 1999 - 2007. Bob and Molly Cadranell purchased Arunga in December 2007, refurbished her and added a new Ian Howlett winged keel and full draft rudder. They took the boat to Newport, R.I. for the 2009 World Cup, where she finished 3rd. Arunga continues to do well, recently winning the 2015 Sir Thomas Lipton Cup in Seattle, and the 2015 6m Invitational in San Francisco. Arunga placed 3rd overall inthe 2016 North Americans and is well prepared for the 2017 World Championships in Vancouver.